Follow your local guide in this 18km hike from the city center to Alba then Barbaresco and back. Enjoy a cold 'farmer's brunch' including salami, cheese, bread-sticks, frittata, dessert and other salty specialties, all paired with 4 different wines. 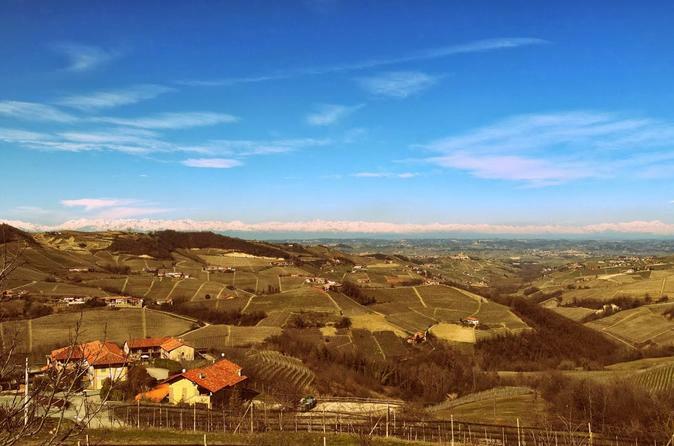 Meet the family that runs this small local Barbaresco winery and visit the cellars. 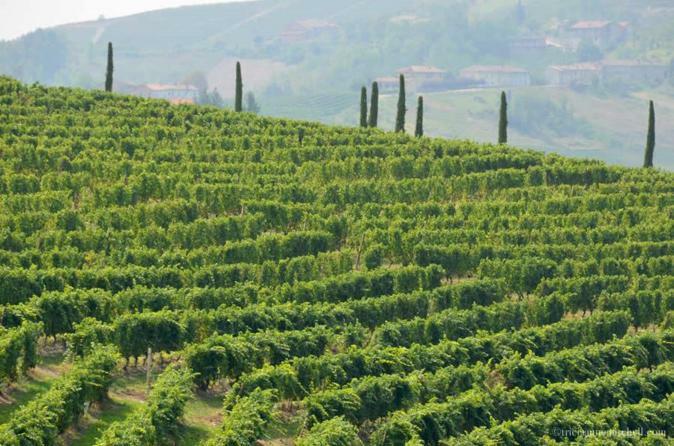 This is a panoramic tour around the famous Barolo area where the precious aged red wine is produced. A wine tasting in a local winery is included. 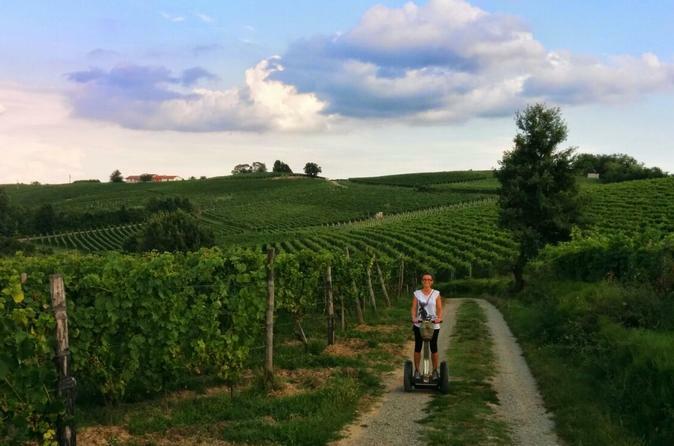 Guided Segway tour in the heart of the UNESCO hills with views over the entire Piemonte region. Two tastings of traditional products are included. Passito wine produced in a Protected WWF estate and nougat and chocolate sweets in artisan pastry workshop. Meet your guide who will train you on how to use electric bikes. You'll need to sign a waiver and you'll have the opportunity to purchase optional insurance. 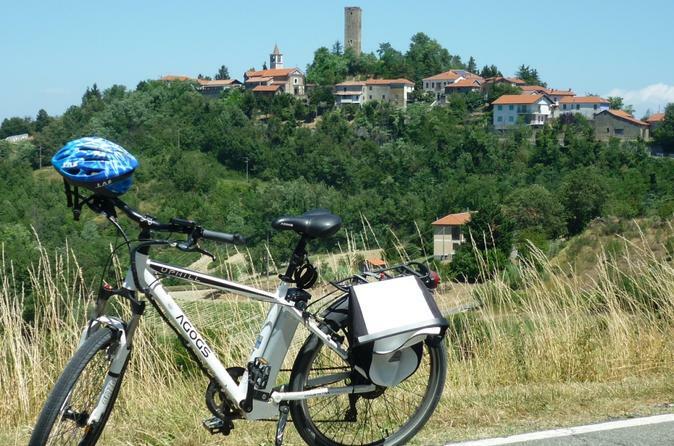 Enjoy a 35 KM panoramic route with your guide, overlooking the UNESCO hills of Monferrato and the city of Acqui Terme. Stop along the way for lunch in a traditional restaurant, with two courses, wine and coffee included. 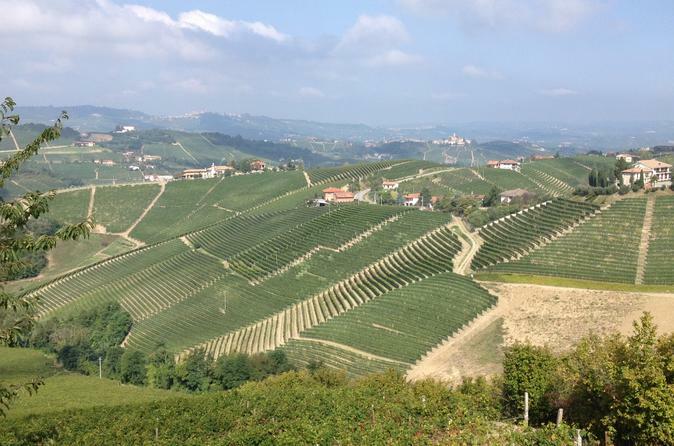 A panoramic drive around the UNESCO hill district where the Barolo wine is produced. Your local guide will show the outside of Serralunga d'Alba fortress and other interesting peculiarities of the area. Visit a Barolo family-run winery and enjoy a tasting of at least three wines. End the half-day excursion with some free time in the town of Barolo for souvenir shopping. This tour doesn't include transportation and the guide will join your vehicle. If you need transportation please refer to the other tour Barolo wine tour including transportation. The guide will join your vehicle and take you to two wineries: a Barbera wine producer and either a Moscato passito one or a sparkling wine producer. Tastings included. Panoramic guided tour overlooking the Monferrato hills is included on the way to the second winery. This tour doesn't include transportation. Meet in Asti or Nizza Monferrato. Meet your local guide and visit two wineries located in the Southern Province of Asti: a Barbera wine producer and either a Moscato passito one or a sparkling wine producer. Tastings included. A panoramic guided tour overlooking the Monferrato hills is included on the way to the second winery. 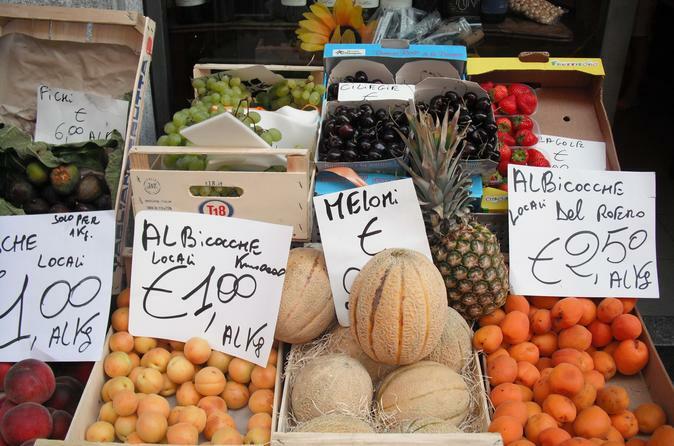 Three hours walking tour of Alba's city center with at least three stops to sample food and products of the area. Combine history, art and local traditions as you savor bread sticks, cheese, chocolate, truffle spreads and whatever the local market, shops and food charts have to offer. Food tours are never the same but you get to taste whatever is seasonal. This is an opportunity to learn about local traditions, stories and fun facts about the hometown of Nutella. Along the way, visit the Cathedral, open air Roman ruins, the Baroque church of the Maddalena and other important sites of what used to be an independent and powerful Medieval town. This tour doesn't include transportation. If you need transport please see the Truffle hunting and Barolo tasting including transportation. Half day excursion (up to 4 hours) with a local guide, to discover the two most renowned, precious and famous products of Piemonte: truffles and Barolo wine. 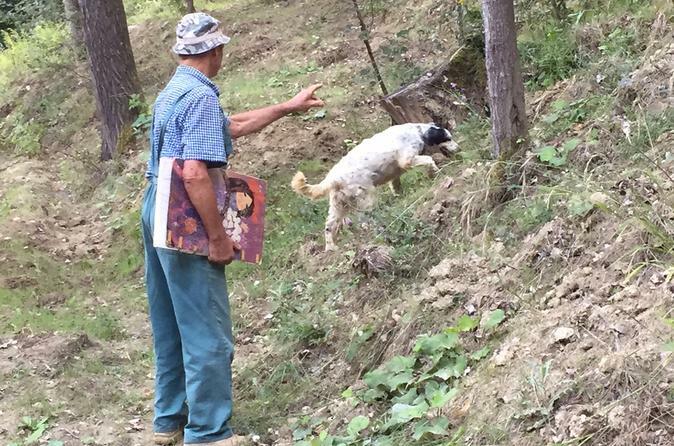 Meet the truffle hunter and his dog to see with your eyes how truffles are found. Then continue into a Barolo winery to sample 3 wines and to visit the wine cellar. 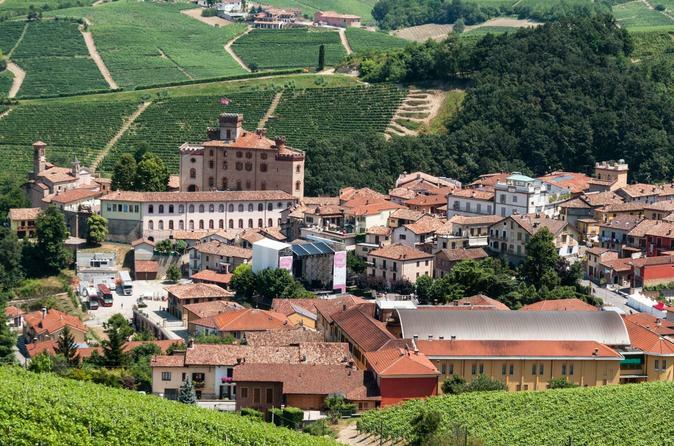 Visit Piedmont Wine Region as it has just been awarded Top Ten Wine Travel Destination by the Editors of Wine Enthusiast.